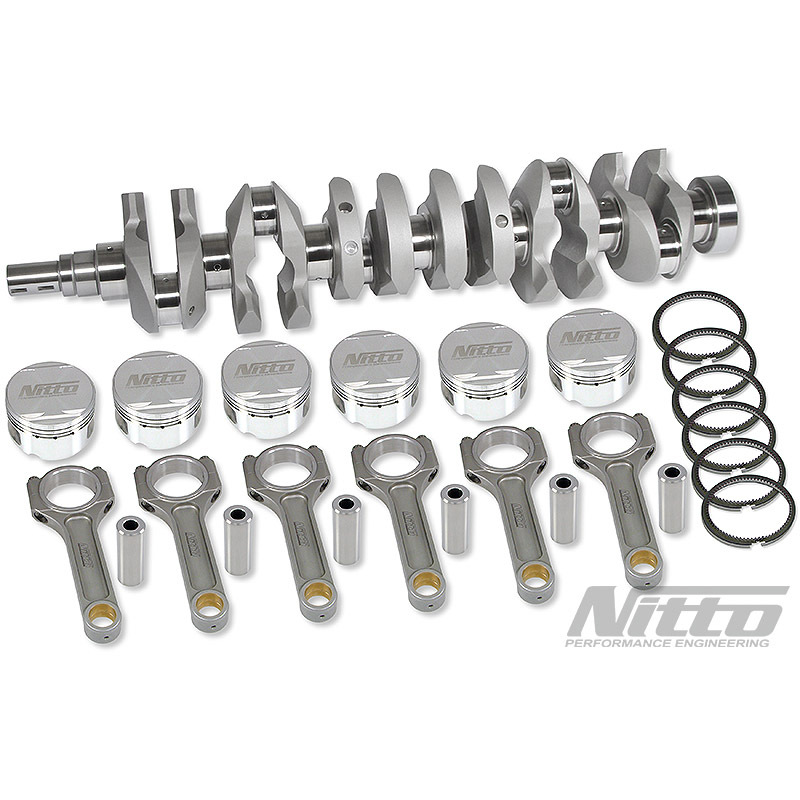 NITTO’s VQ35DE 350Z Stroker kits consist of an increased stroke crankshaft made from solid 4340 billet steel, H-beam connecting rods and unique JE/Nitto forged piston set along with upgraded thick wall gudgeon pins and premium ring sets. 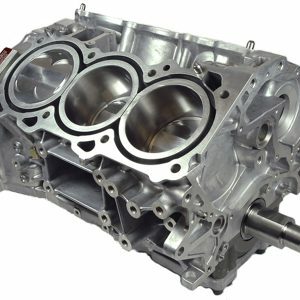 VQ35 Engine capacity is increased from 3.5Ltr to 3.8Ltr which provides more power and torque whilst still retaining a strong ability to rev and produce horsepower at high RPM. 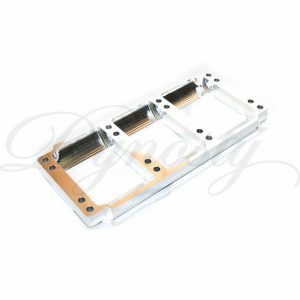 All components have been meticulously machined to exacting tolerances and the highest standards. 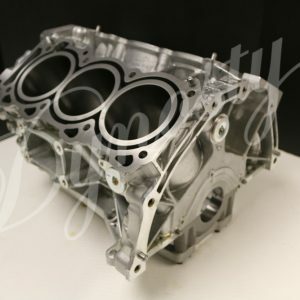 The changed harmonics due to the crankshaft material and design results in a much “freer revving” more balanced engine. 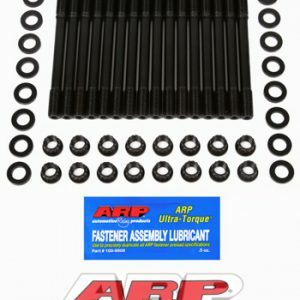 We recommend the use of a Dynosty Billet Main Girdle with this product to allow proper clearance in the girdle for the stroker.